After the ravages of the Civil War had torn at the heart and innocence of the US, America longed to return to its optimistic simplicity. During this time of growing pains, a publication was made that showed the landscape and development of the US at the time. 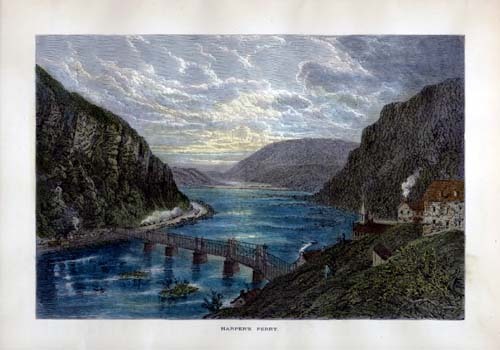 It was titled Picturesque America” and utilized some of the greatest artists of the time to show, not just the lay of the land, but the character of an area. They produced a wildly successful series of images that could be subscribed to, or later purchased bound in a book. The images are romantic views, yet still very accurate. It provides the viewer with an interesting blend of history and the timbre of the age.